Wow, a lot of things are happening on this channel, we’ve just passed the 10,000 subscriber mark and and picking up about 50 new subscribers a day. Thank you so much for the support, I really appreciate it. I also appreciate the intelligent comments and great questions that I receive every day. Sometimes Youtube comments can be a social media wasteland, but I’m always impressed with the quality of comments I receive. It can be a challenge to cull out the best, but let’s dig into this month’s questions. But before we do that, please stick around to the end as I’ll have a preview of some things coming up in the next few weeks. First off: my videos on the purported illegal status of Baofeng radios still are stirring controversy. Both the original video I posted in August and the October channel update are generating questions, so here’s a couple of the better ones. The FCC advisory is silly for many reasons. 1. There are millions of these radios in daily use. The toothpaste is out of the tube. 4. It is legal for a ham to transmit outside the ham bands in case of emergency. In fact there are cases where someone was rescued by doing this. 5. Does the FCC want to do away with the MARS program? You bring up some really valid points. The FCC’s enforcement advisory is contradictory to how the amateur radio service has functioned for 100 years. Also, I want to say that despite what many say, a radio used on the amateur radio service does not need to be Part 90 certified. I believe the FCC wants to muddy the regulatory waters by deliberately creating this confusion. Finally, I’m gonna talk a bit about MARS, or the Military Auxiliary Radio System. MARS is a radio program sponsored by the Department of Defense and provides supplemental radio services for the military. For a long time MARS operators completed radio phone patches military personnel overseas could talk to loved ones. While phone patches may be a thing of the past, MARS operators still provide interoperability communications between the military and civilian emergency management agencies. The MARS program is under the jurisdiction of the Department of Defense and MARS operators receive a special operators license and use frequencies outside of the amateur radio service. So the FCC can’t control who can modify radios for MARS operation. Gene asks: Someone please which model number(s) is/are now illegal and which one(s) legal. This is really tough, as there is no way to know which radios are allowed under the FCC’s enforcement advisory unless the manufacturer or distributor lists the FCC ID in their product description. I’m not going so if a particular radio is legal or not as I’m not an attorney and the advisory really doesn’t specify what the FCC considers a legal radio to be for the amateur radio service. But If the radio carries an FCC ID, then it can be reasonably assumed that you can legally use the device on the amateur radio bands. For the other radio services the radio will need to be Part 90 certified for land mobile use and Part 95 certified for GMRS. To follow up on that in this comment I received: I contacted the company where I bought my Baofeng radios and theirs are FCC compliant. They even sent me the FCC ID numbers. 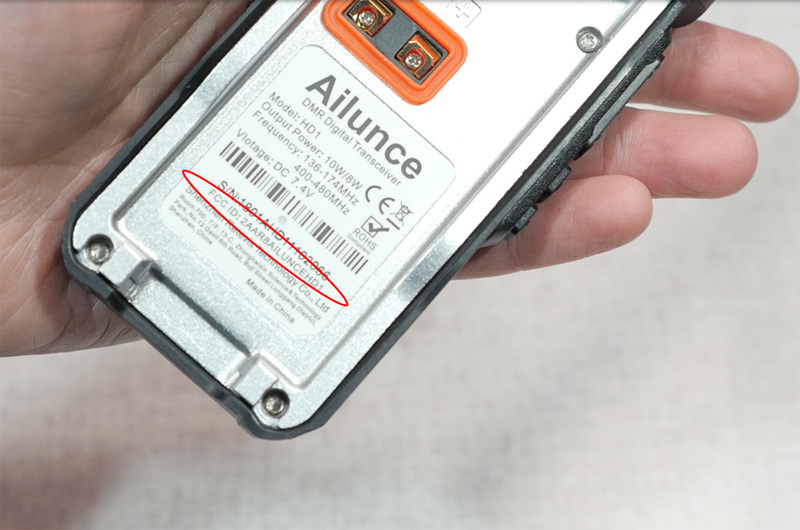 So, the statement of “all Baofeng radios are illegal”, is just not true. Some but not all Baofeng type radios have an FCC ID. If the radio carries an FCC ID, then it can be reasonably assumed that you can legally use the device on the amateur radio bands. I am very new to HAM. If Baofengs are illegal for now, can you recommend a good, low cost alternative? Even the cheapest Yaesus seem to be 5x the price of Baofeng (on Amazon anyway). Or at least what is the best lowest cost alternative? Amazon is not necessarily the best or cheapest price source if you are searching for amateur radio gear from the major manufacturers (Kenwood, Icom, Yaesu). Since amateur radio gear tends to be a niche category, you will get a better price if you shop the specialty retailers like Ham Radio Outlet, DX Engineering, or Gigaparts all of which are price competitive. It appears that Gigaparts.com has the Yaesu FT-4XR for $99.95 with free shipping. 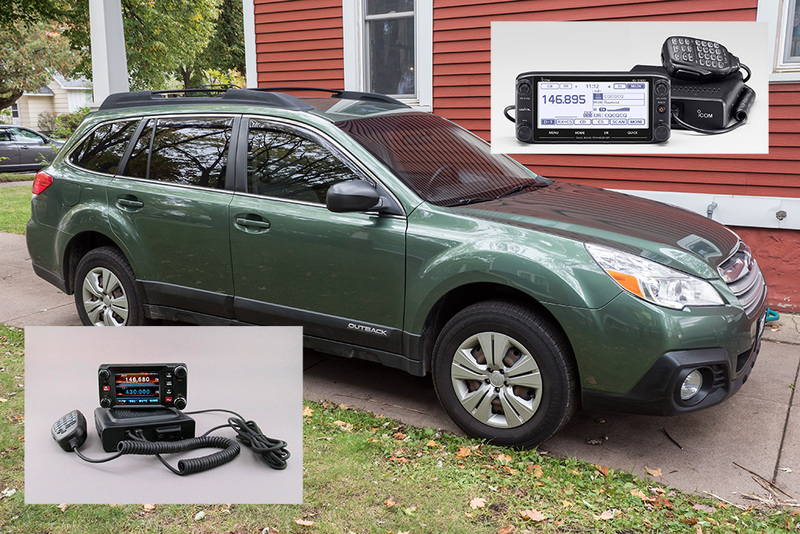 Or you can get a FT70-DR for $159 with built in Yaesu Fusion digital. These are bulletproof radios that will give you years of use. While they are a bit more expensive than a comparable Baofeng, you often get what you pay for, and I think they are a good investment. I can’t seem to get anyone or hear anyone on my Kenwood TS480SAT. Not sure if it’s the antenna or I pushed the wrong button. I’ve been off the radio for years. A guy set it up for me and it worked. Any ideas? I’m not an expert on that rig so here are some general things to check if you can’t hear a signal on your rig; The first thing I’d check is the Ant1 and Ant2 switch. The TS80SAT has two antenna ports and you should check that you are on a port that is connected to an antenna. Our club has a TS2000 and being on the wrong antenna is a common problem I’ve run into with helping a new operator on that radio. If that checks out, then I’d tune to WWV at 10.000 Mhz. Can you hear a signal at all? If not, then you may have an antenna issue or there is something wrong with the radio. Great info, especially since my club has been talking about digipeaters at aide station in mountainous ultra-marathons in my area, I was looking into building a few one based on arduino, and forgot That this may work with stuff i already have, 3 mfj tnc2 clones, and a KAM and a kpc3, thank you! Building a Fill-in digi is a great way to repurpose old equipment. and sometimes doing that is easier than building something out of an Arduino or Raspberry Pi. KB9VBR…GREAT VIDEO! This just might be the solution to the digipeater / Igate problem in our area. We do NOT have an Igate or digipeater in our county (Tyler County, Texas) and I’ve been wanting to install SOMETHING for a long time that would at least allow APRS tracking within our neighborhood in the nearby town of Woodville. There is a digipeater in Hardin county which I think could be activated from my QTH if I could put up a small beam. If you don’t have reliable APRS service in your location, I’d probably look at building a full-blown digipeater instead of a Fill-in. Fill-ins will only work on the first hop and a true digi has the extra ability of filtering to help reduce congestion and duplicate packets. You could host the digipeater at your home location, and maybe that would be a good starting point, but I think in the long run maybe cohosting the digipeater at a repeater site may be the answer. Our local club has a digipeater di-plexed onto a UHF repeater. The repeater uses a dual band antenna, so it was easy to add the digipeater to the same system. That might be an option for you. Chris asks a question about the Wolf River Coils review I did: Any advice for using this with an mfj 1979. The MFJ-1979 is a 16 foot telescoping whip antenna that is a great addition to the Wolf River Coil. I’ve got a 16 foot telescoping whip that I use for portable operation. Basically, I extend it to about 9 feet for the 75/80 meter band and then collapse it down to about 5-6 feet for the higher bands. If you are using a 102 inch stainless whip with the coil, you’ll find with this coil that you will run out of space on the top end for higher bands, so you need to shorten the whip for the 10-15 meter bands. Since there is a bit of imprecision with using a telescoping whip, I’ll pre-tune the antenna for a particular band using my antenna analyzer. Another interesting bit with that whip is that if you extend it all the way out to 16 feet, you can use the coil on the 160 meter band. But you also need a really good set of ground radials or counterpoise. That’s it for this months questions. Please keep them coming, as your question may be featured next month. As a coming preview, I’ll be doing a couple of videos on mobile operation. I bought a new to me car last month and I’m in the process of installing a VHF/UHF mobile radio in it. So I’ll give you some tips on antenna installation, running power from the battery, and locating the radio unit in the car. Plus I’m also shopping for a new radio for the car, so I’m trying to decide between the Icom ID-5100A or the Yaesu FTM-400XDR. So I’ll have a review of one of those rigs coming up. If you have a personal preference between the two, let me know. Finally, the holiday season is fast approaching, and I’ll have my annual holiday gift guide in a couple weeks. This video highlights ham friendly gifts that any amateur would love to see under the tree. Let me know if the comments if there is a particular gift you’d love to receive from Santa.